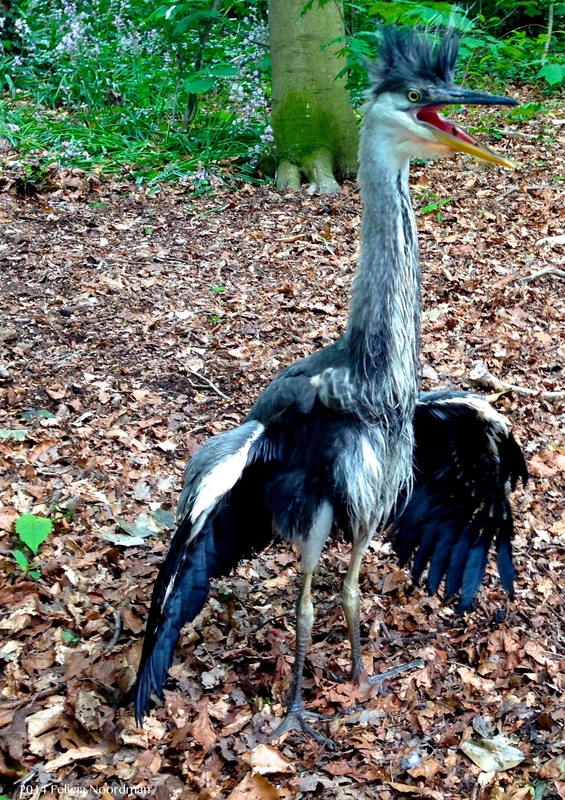 Total panic when this baby heron came screaming out of the bush chased by our bullterrier Barbie. Huge panic as I tried to catch Barbie and told the girls (10,8 and 2 years old) to keep their cool. Panic when the heron ran passed us towards the exit of the park but then… Our cross-eyed dachshund who apparently had missed all the fun found us, did not see the heron until it attacked the dachs which jumped aside and made the heron crash its beak into the ground, stuck:) That’s when panic turned into laughter. We called the ‘dierenambulance’ which picked it up after 35 minutes… Though I’m not very fond of herons I hope it will be okay. This story makes my day!